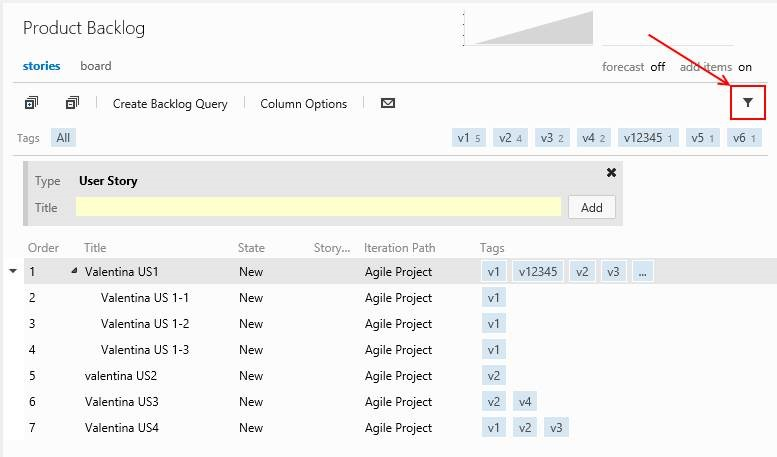 I missed the punch (original source), but on January 30th Microsoft announced the release for Visual Studio Update 2 CTP 2, which brings four key areas of improvement. Work Item tagging. You can tag work items, similar to tagging a post on StackOverflow or WordPress, to further categorize and filter work items. You can also send work items via email now with Team Web Access. Test Hub in Team Web Access.Â For the web accessÂ there is now a `Test` tab where you can enable manual testing for systems that don’t have Test Professional. You can view and edit test cases in a test plan and run them manually. 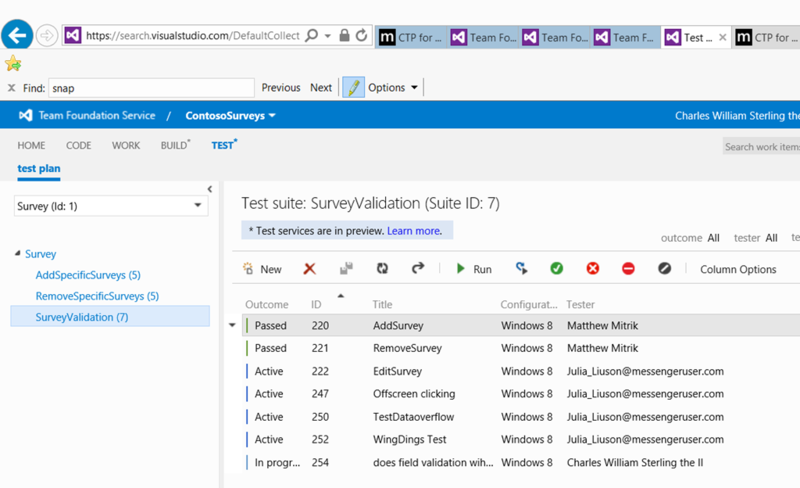 Improved SharePoint load testing.Â Building on the SharePoint load testing ability from Update 1, Microsoft has taken customer feedback and added additional support for InfoPath, Excel services, Office Web Companions, workflows, and more. Office 2013.Â Microsoft has also added support for tooling for Office and SharePoint 2013 including development, Coded UI Testing, load testing, and even Intellitrace. 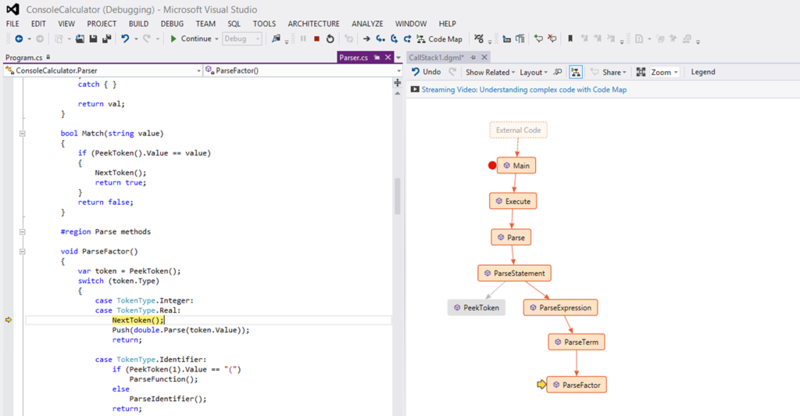 Blend for Visual Studio 2012. 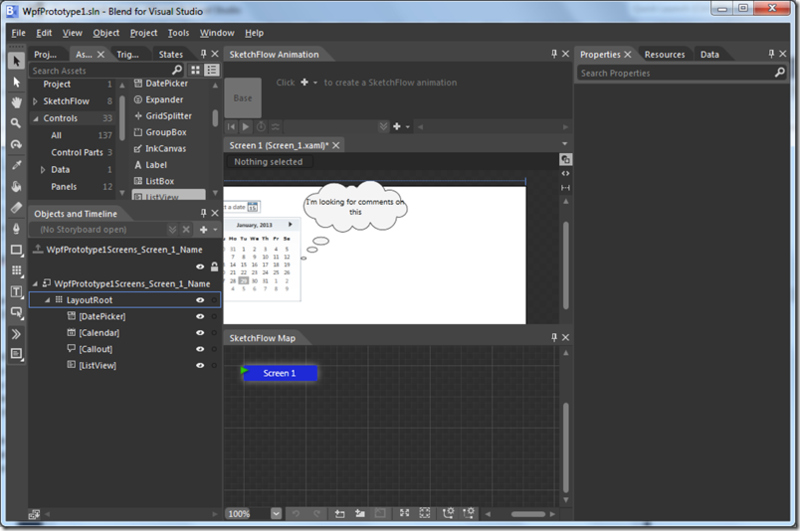 Blend has been added back for Visual Studio 2012 and includes support for WPF, Silverlight, and Sketchflow. CodeMap and Debugger Integration. Easily add a call stack to a CodeMap to explore code dependencies from your debugging session. 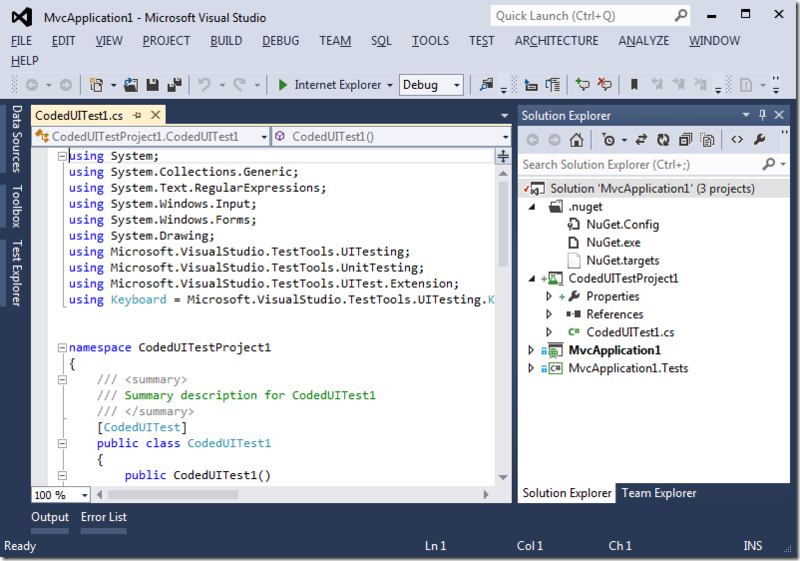 Visual Studio Blue Theme. Because of vast feedback and complaints (I’m putting those words in there because it’s true, and shows that Microsoft does in fact listen). They have added the Visual Studio 2010 Theme, now called Blue theme which was originally part of the color theme editor, as a new default theme available in Visual Studio 2012. 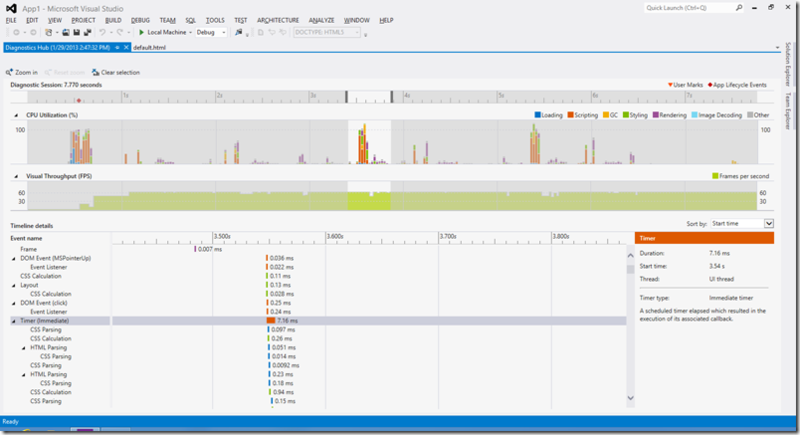 Profiler events timeline. For Windows Store HTML/JS applications.